Life is one big adventure and thank you all for following along with me! I am so grateful for all of the wonderful friendships and relationships that I have made this year, as well as being able to move across the country once again. This year brought with it a lot of ups and downs, however, I can't wait to share all of my new experiences in the big apple with you and I am so excited for what 2019 has in store. 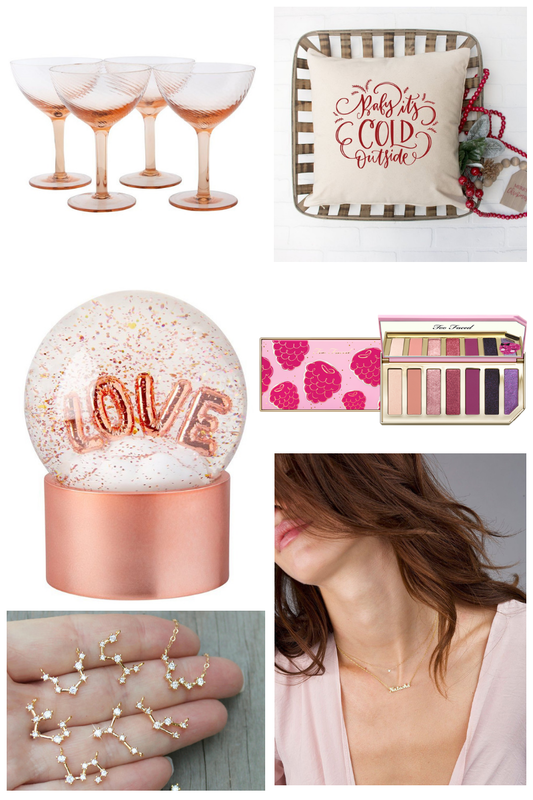 Today I’m sharing gifts for her (your sister, bestie, girlfriend etc.) at different price points, with the majority of them going on sale this weekend! Even though I moved to New York two months ago, I've been traveling a bunch so I haven't really had time to decorate my apartment fully. 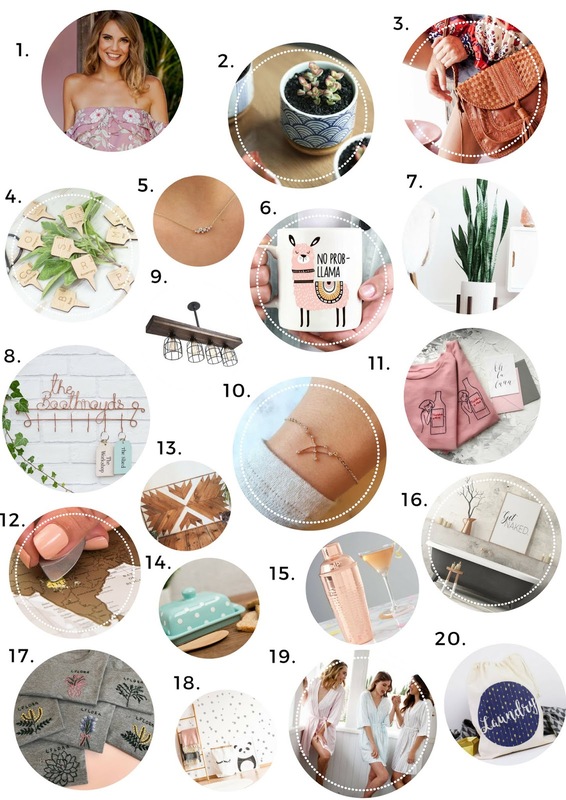 Which means I've been on the prowl for cute items for my new place. This snow globe, pillow, vintage glasses and personalized shaker would make the cutest gift! 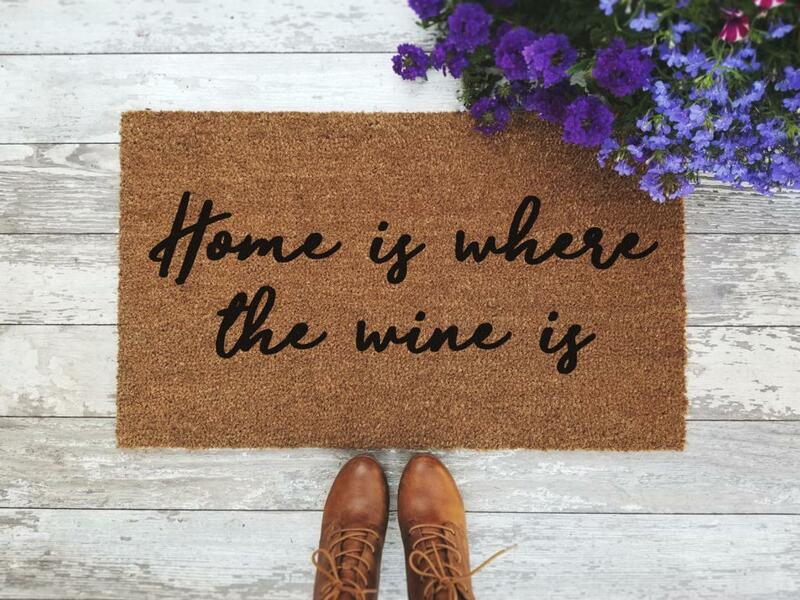 Also... there are so many variations of this 'Home is Where the Wine is' doormat, which is great if you have a wino mom or bestie like I do. 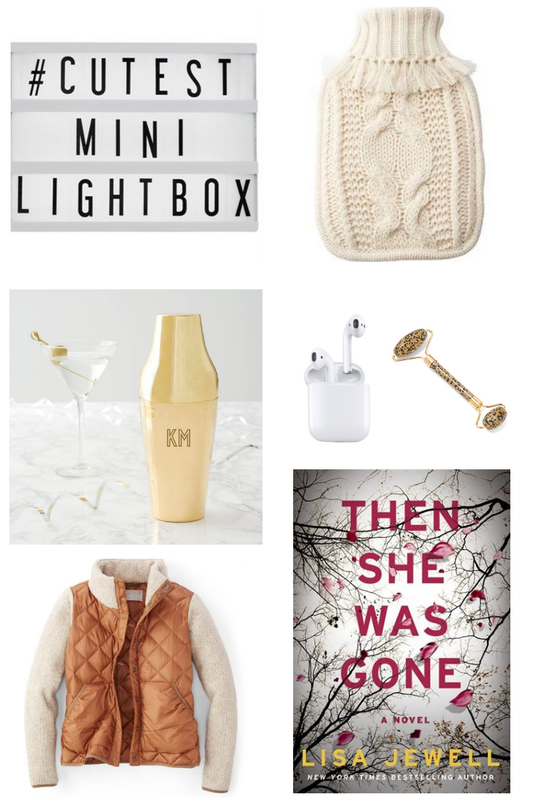 I spent the past weekend wedding dress shopping in Toronto with my best friend, and she had the cutest mini lightbox at her apartment. It changes colour and you can personalize it (hers said "hibernation mode") and I now desperately want one for my place too. Everyone knows I am really big into mystery and crime novels and 'Then She Was Gone' is the next one on my reading list. I constantly read and watch things (hello Hill House... that Netflix show scared me for a solid week) that are way too freaky for my own good. I am not really an eye shadow person, but this palette was way too pretty to pass up, and the burgundy colors work really well with my green eyes. Ulta is having a Black Friday sale so this little guy will be discounted this weekend. Ulta is literally one of the only places you can buy shape tape concealer (my favourite!) so that's also worth noting. I also really want to add a jade roller to my beauty routine, and this leopard print one is funky and different! The two initial necklace! It is such a sweet and sentimental gift for mom or grandma. Also... the diamond name necklace would be perfect for a sister or girlfriend. I have one - sans diamond, though. Both are 14k solid yellow gold and both are included in Etsy's Cyber Sales Event at 10% and 20% off! Constellation earrings are still a big trend on the site too. I recently purchased this super soft, comfy jacket from REI and I can't get enough of it. I've been wearing it everywhere (even just chilling inside my apartment) and it's so soft and cozy. Same goes for this cable knit hot water bottle which was also a recent Indigo purchase. Clearly I am all about being comfy and warm in the winter. 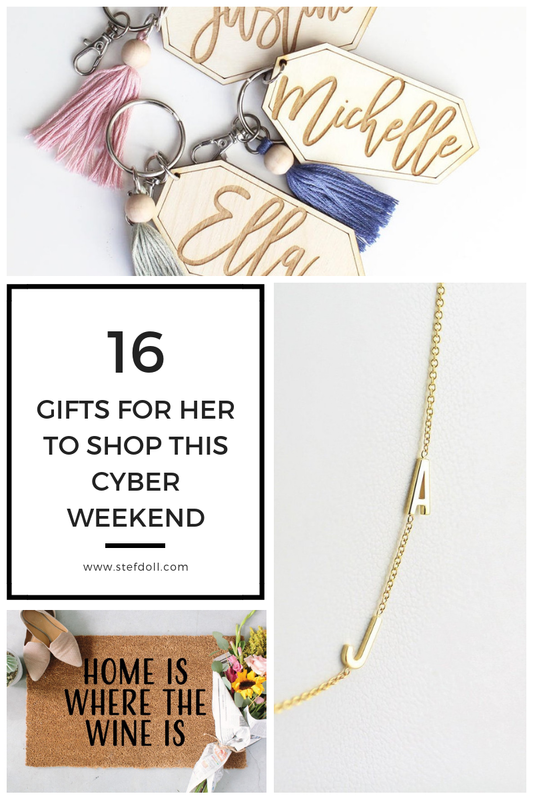 Finally, the personalized keychain would be a great, inexpensive gift for secret santa and is also included in this weekend's sale. Have a 'Happy Cyber Weekend' and a very Happy Thanksgiving! As many of you know, I'm spending the majority of October in the UK! 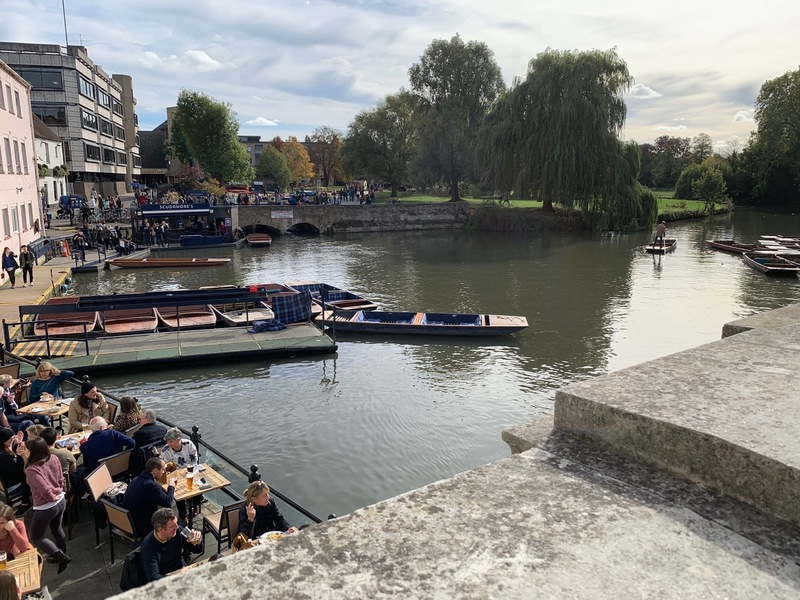 Last weekend we did a little day trip to Cambridge, and I wanted to share some photos on the blog as it's such a short train ride from London (45 minutes from Kings Cross) and a really fun activity for a Sunday - though I wish we stayed longer than a day. 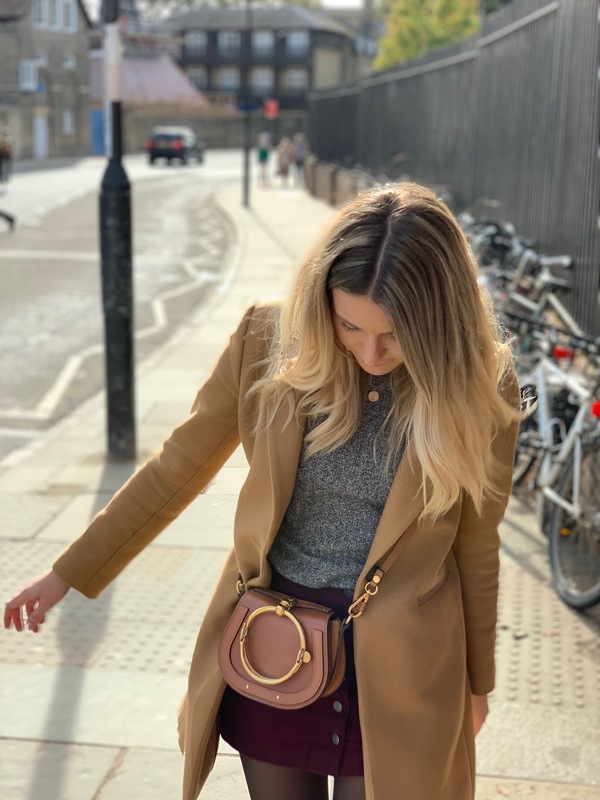 Cambridge is special for a lot of reasons but what makes this English city truly incredible is its long, rich history and grand and gothic buildings. 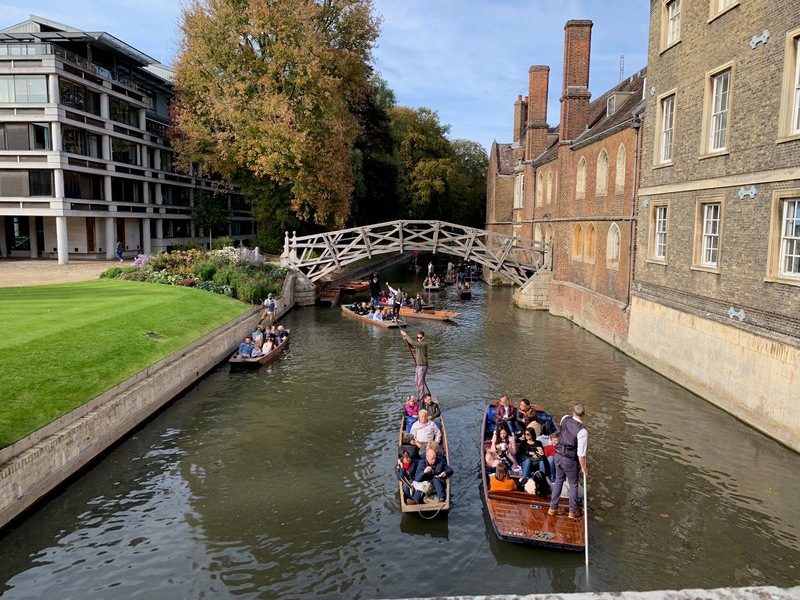 Though we decided to stroll around the colleges, you can go punting on the River Cam which I would definitely do next time! One of the most recognizable structures on the River Cam is the Mathematical Bridge at Queens College. Christs, Trinity and St John's are also lovely to have a wander through! If you'd rather get a good look from above, head up to the roof terrace at The Varsity Hotel. You can sip a glass of bubbly while taking in a wonderful view of all of the colleges. I'm sitting here writing this blog post from Toronto's Pearson airport whilst I wait to board my flight to London! Since my last update I've moved to New York (yayyyyy I got my work visa!) and have had a pretty busy September finding an apartment, moving in and getting settled - so I haven't had much time to blog. 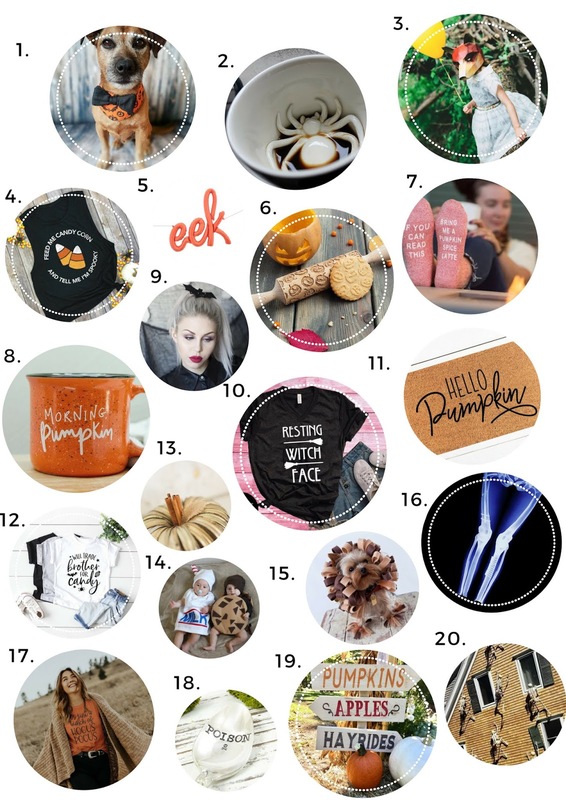 Halloween is however one of my faves -- so I had to post my top picks! I haven't explored much of Canada outside of Quebec and Ontario, so I was so excited when I had an excuse to head to Nova Scotia for my friend's wedding! 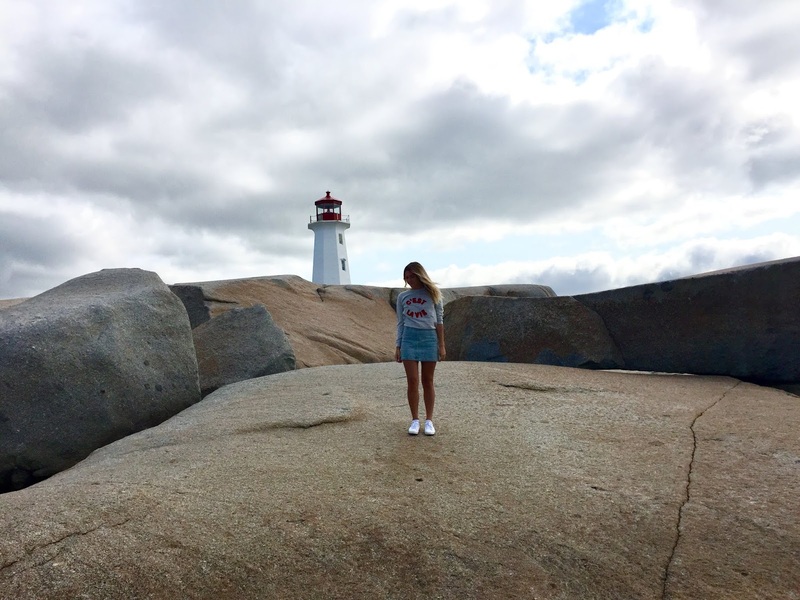 Even though it's a very popular tourist destination, there is so much charm and beauty to Peggy's Cove. It was our first stop once we got to Halifax, and I would go back in a heartbeat. Nova Scotia is a haven for leisure and lifestyle activities. Its natural beauty, outstanding nature, AMAZING seafood and exciting nightlife attract more than 2 million visitors every year. Bicycle Thief definitely lived up to it's hype (we had the lobster linguine) and we also tried a bunch of different kinds of Nova Scotia and New Brunswick oysters at Gahan House. 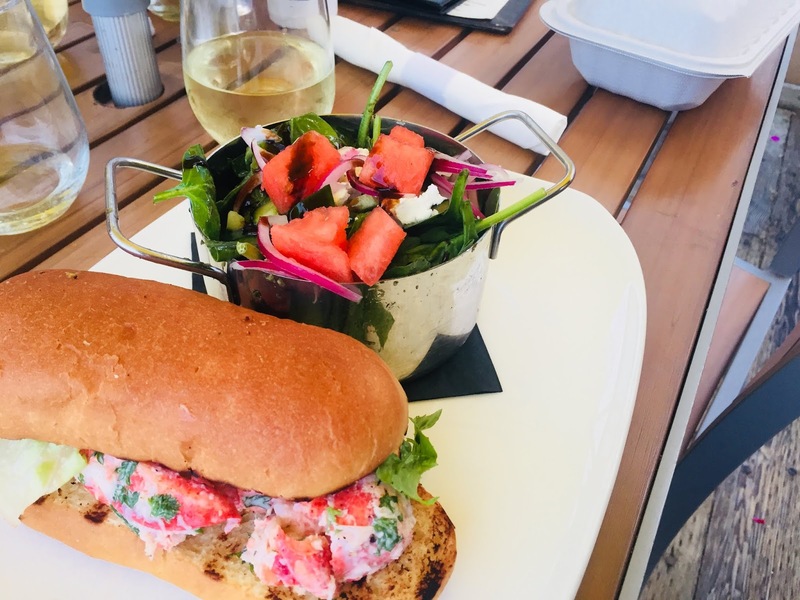 You also HAVE to order a lobster roll while you're there! After spending the first night at our Halifax Airbnb, we drove to the Bay of Fundy to check into our second Airbnb. I highly recommend you rent a car - we did a ton of driving. 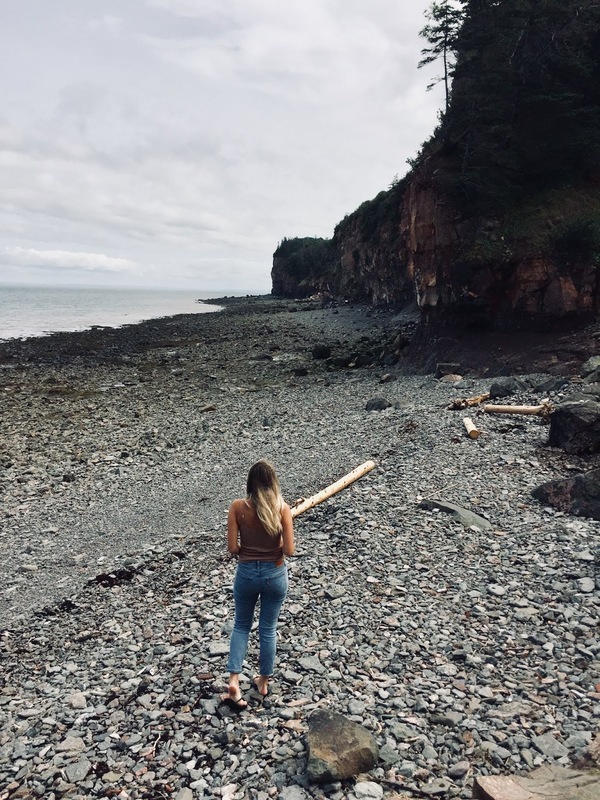 The Bay of Fundy is such a cool, peaceful area to unwind and relax - perfect before I had bridesmaid duties to attend to! Janice was an amazing host and her Airbnb was the cutest cottage. She also provided us with breakfast every morning. It was one of my best Airbnb experiences so far, and I am so glad I got to experience it with my mum too! After the wedding weekend, we drove back to the city - but made a pit stop on the way at Blomidon Provincal Park. Apparently you can find amethyst on the beaches there (sadly we did not) but the landscape was just breathtaking, and it's the perfect place for a hike. After a 7+ hour flight delay (and then cancellation!) I've managed to stay stuck in London for a few more days -- yay to European summers and extra time at airports to write blog posts! 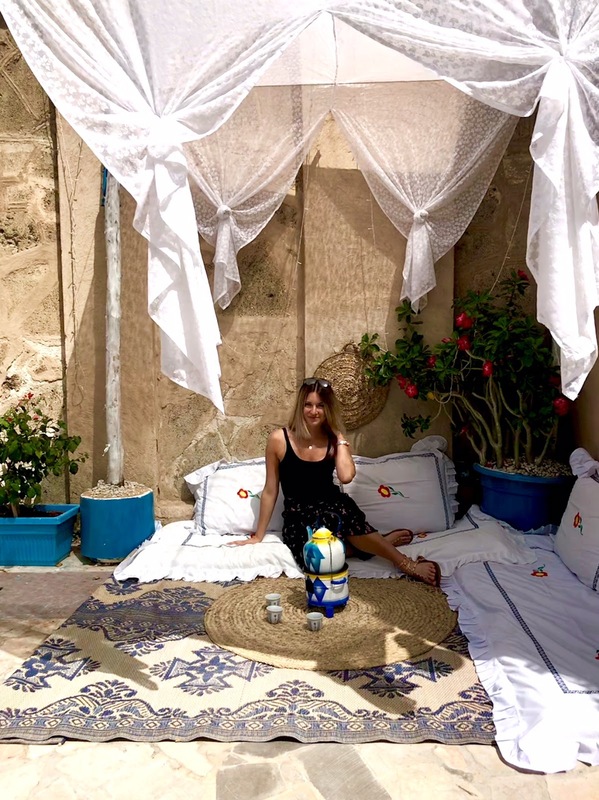 Last weekend I had the most wonderful time in Malta, a beautiful country that is the subject of today's post. We opted to stay in an Airbnb in Valetta, the capital city. It came to around £40 per night divided by the four of us, which is pretty reasonable. The rooftop terrace is the perfect place for a drink or to watch the sunrise, as it's right off the second bedroom. The golden, narrow streets of Valetta are just stunning and I would highly recommend staying in this area. 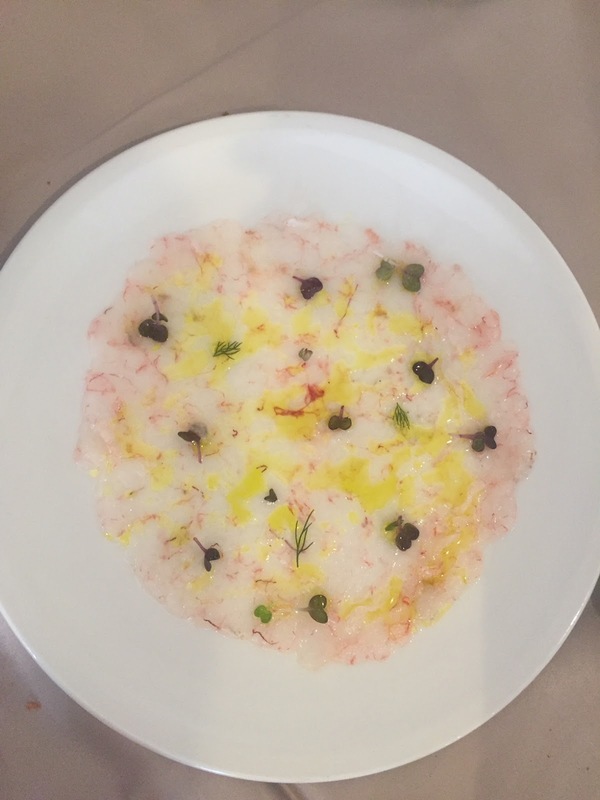 Our favourite restaurant of the trip, Palazzo Preca was also located in Valetta! 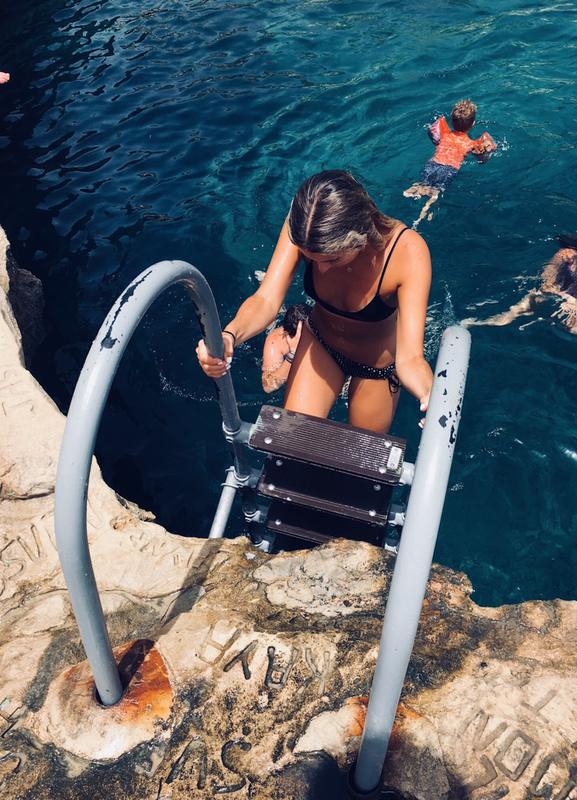 St. Peter's Pool was our favourite swimming spot - you could jump right into the clear blue Mediterranean sea. Bring towels or something soft to sit on, as it's all rocks. The Blue Lagoon was also stunning, however, it was PACKED with tourists. You will need to catch a boat there from Malta, and then another boat if you want some seclusion. We opted to take a 5 Euro water taxi to the other side of the lagoon where there was less people and a private beach. This was so worth it and made for a perfect beach day. 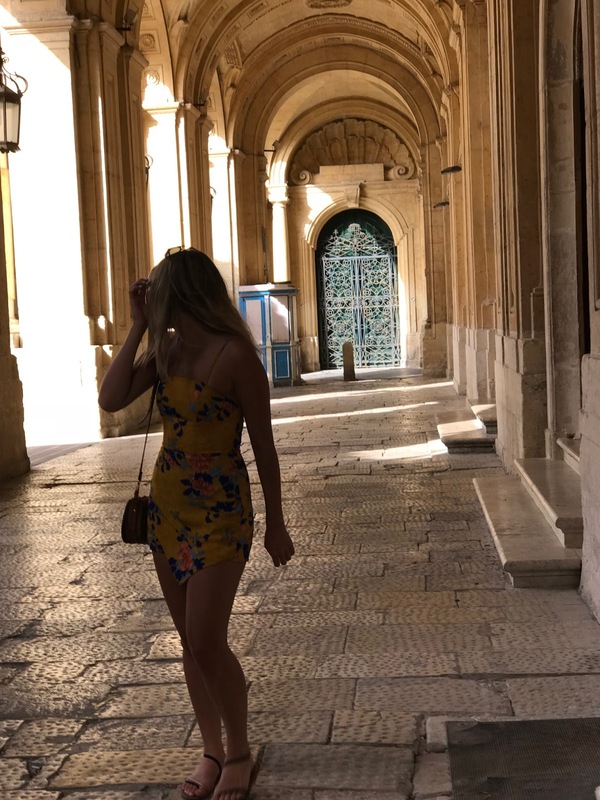 Make sure to also head to the ancient city of Mdina. The narrow streets are beautiful, well maintained and take you straight into Game of Thrones. 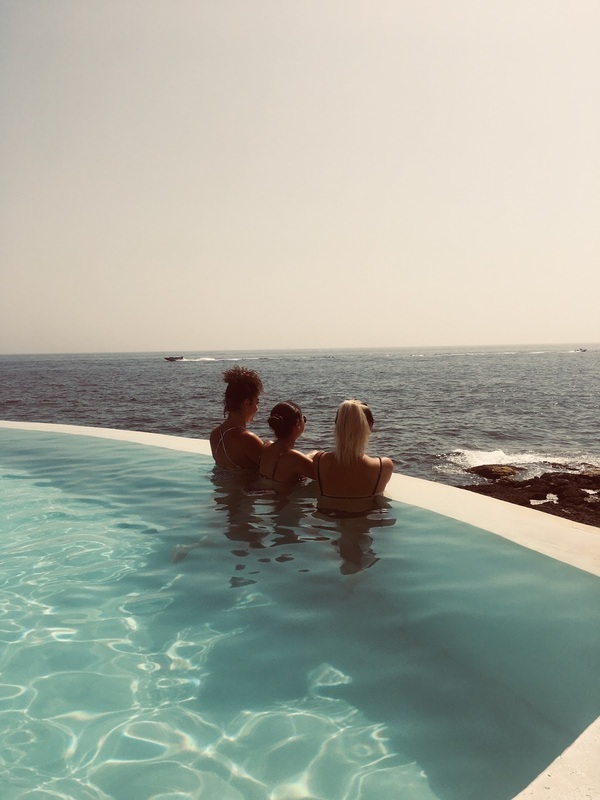 On our last day, we killed some time by the pool in Sliema. Next month I'm off to Halifax, so will be sure to post another update then. Happy travels! 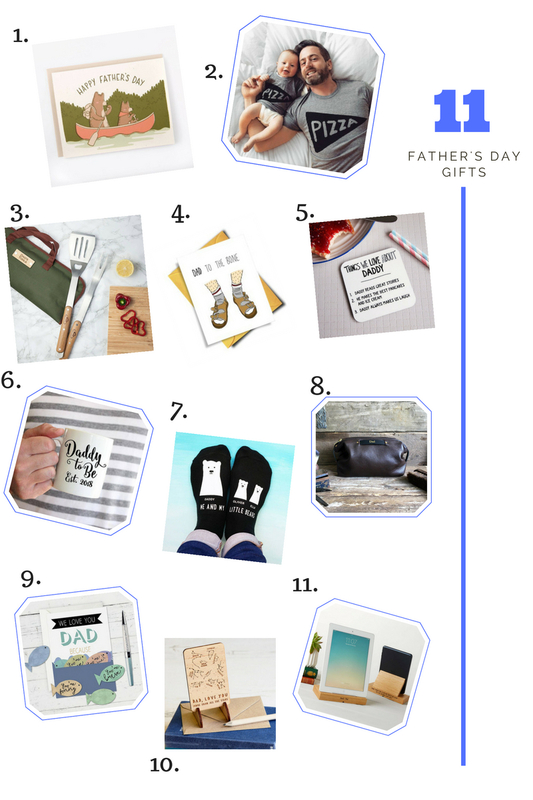 With Father's Day just around the corner, I wanted to post a round-up of some cute Father's Day cards and little gifts. 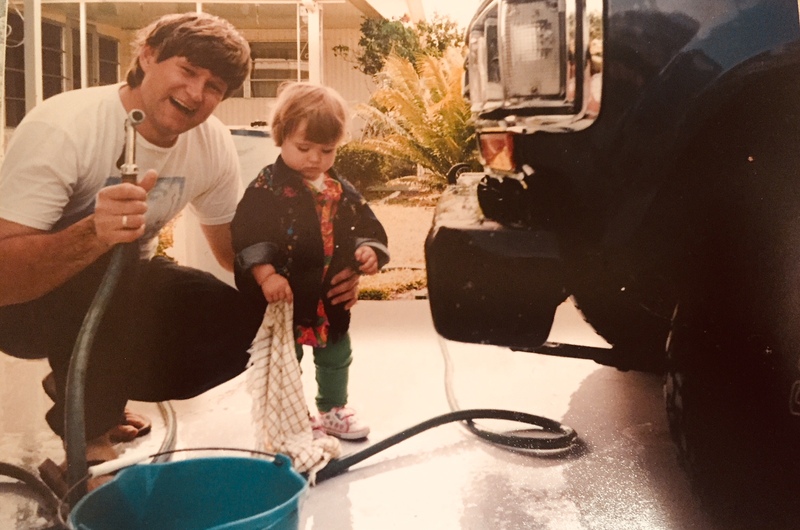 This will be the first Father's Day that I've been home in Canada for a while, and it's been so lovely to spend some quality time with my dad, who has had my back since day 1 - literally. 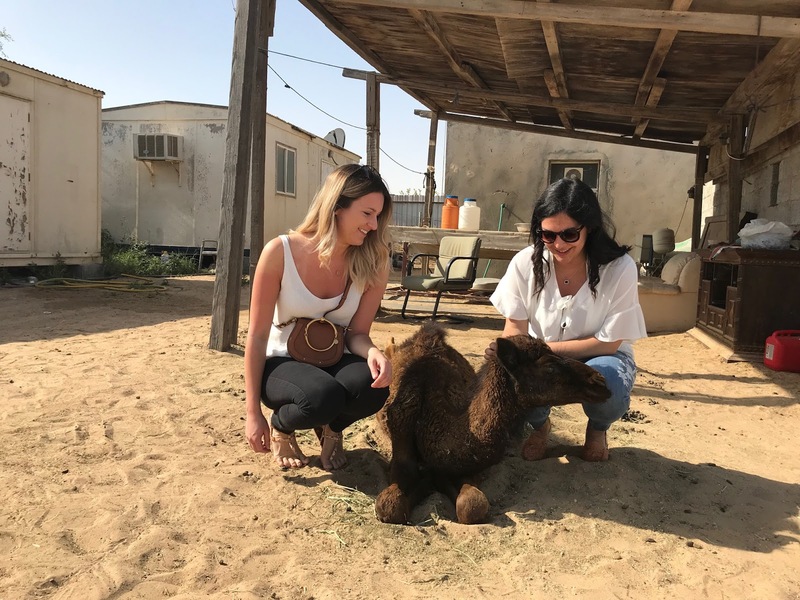 I wanted to start off the week by sharing a little round up of my "girls trip" to Abu Dhabi and Dubai with you. We spent two days in Abu Dhabi and two days in Dubai. We flew into Abu Dhabi with BA and it only came to £210 roundtrip, nonstop - which is such a great deal for a 7h flight. 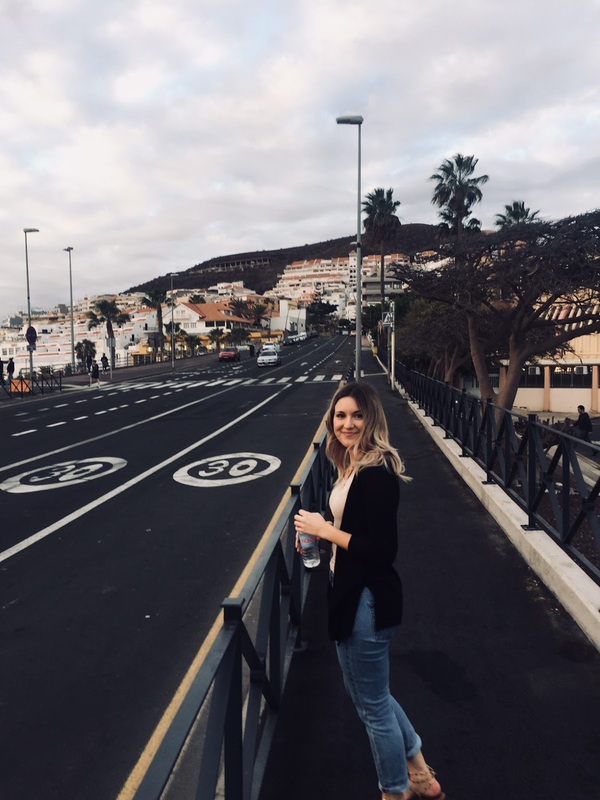 My main tip in finding cheap flights is booking them around four or five months in advance, and I usually find the lowest prices on either Momondo or Skyscanner. If you 100% know your vacation dates (for example, we knew we wanted to take advantage of the Easter long weekend) why not just book it in when it's cheap, even if it's far in advance? Also Mondays and Tuesdays are usually the cheapest dates to book. I am not even kidding, prices go up on the weekend when people are browsing. 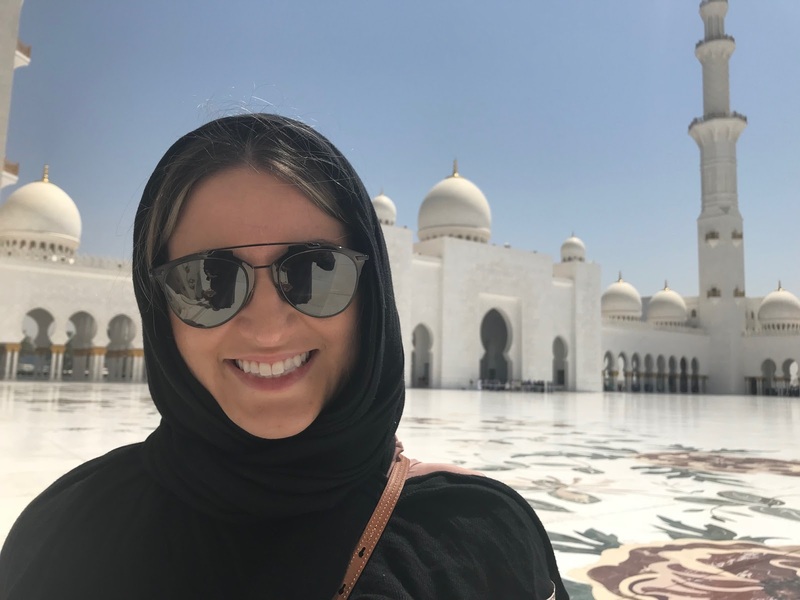 Anyways, back to the trip -- after dropping our bags at the Rosewood our first stop was the Sheikh Zayed Grand Mosque in Abu Dhabi which was the highlight of the trip for me. It's one of the most beautiful places I have ever seen - it's massive and fits an astonishing 40,000 worshippers. If you're planning a trip to the mosque, make sure you do a guided tour (it's free) as they take you to the side of the mosque that's roped off from other tourists - it's a perfect photo spot! Make sure you don't go on a Friday though as it's closed to the public in the morning. As this is a Muslim site you do need to cover up and understandably they are very strict with women's dress. Even-though I had covered myself they still provided me with an Abaya - so they really do enforce the dress code. The following day we did a dune-bashing tour and camel ride in the desert which was sooooo cool. We booked our dune-bashing tour via GetYourGuide and it came to around £50 per person. 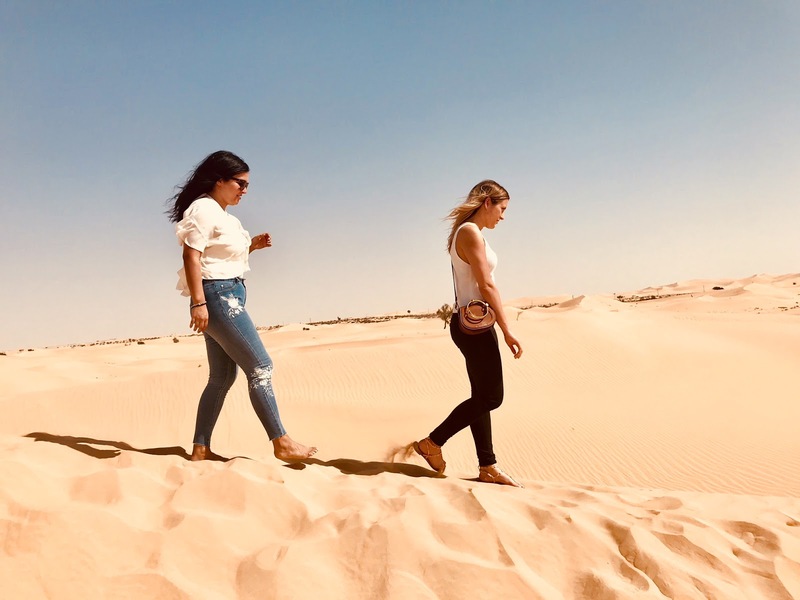 Our tour guide literally became our professional photographer for the day - the photos he took came out SO well and I would highly recommend booking the dune-bashing tour via the app! Then it was time to head to Dubai - we did so by taxi (1.5h drive) which was also around £50 which we split. Dubai is definitely an interesting place - it slightly reminded me of Vegas in a really weird way. I am going to be honest with you and say it's not somewhere that I would feel the urge to go back to, but I am happy I experienced what it was all about. We explored the Dubai Mall (which is really out of this world - there's an aquarium and skating rink inside) and ate amazing, inexpensive Lebanese at Wafi Gourmet while watching the Dubai Fountains (basically the same as the fountains at the Bellagio in Vegas) and the Burj Khalifa light show. The following day we hit up Kite Beach (get a burger at SALT which is right on the beach). Dinner was sushi at Ramusake (soooo good) and drinks in the Dubai Marina. 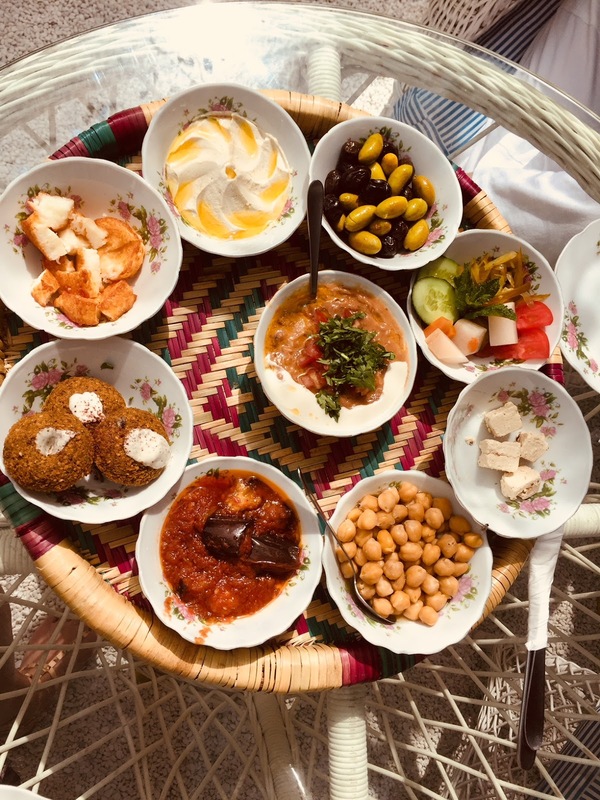 We also explored Old Dubai and Bastakiya - if you go, head to the Arabian Tea House Cafe for breakfast - they do a wonderful authentic spread! 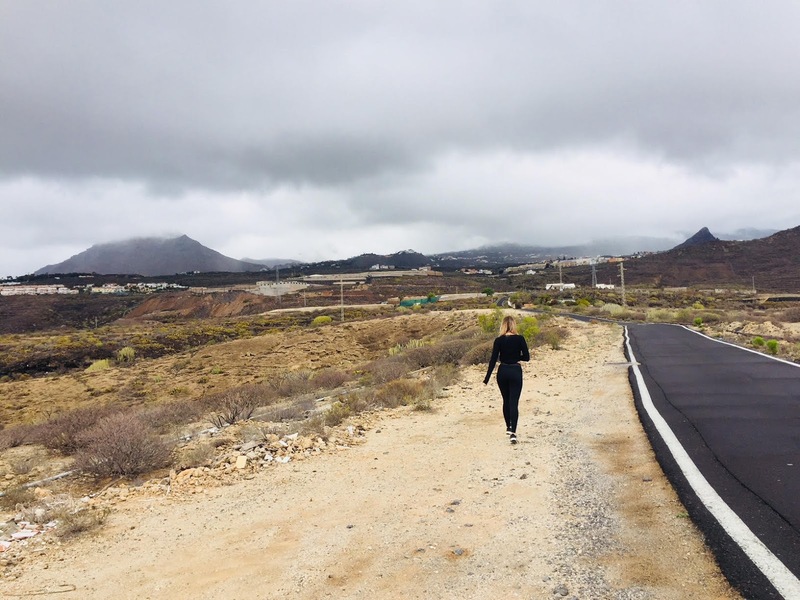 We went to South Tenerife to catch some winter sun. Sadly we did get some rain on the trip, but it gave us the opportunity to hang out with monkeys and try some amazing restaurants. 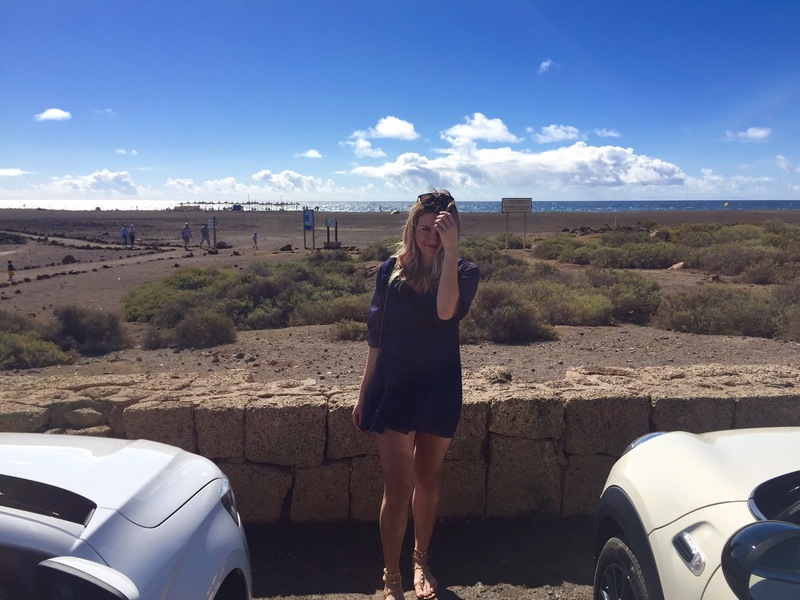 We stayed in an apartment in Las Galletas and rented a Mini Cooper to boot around the island in! 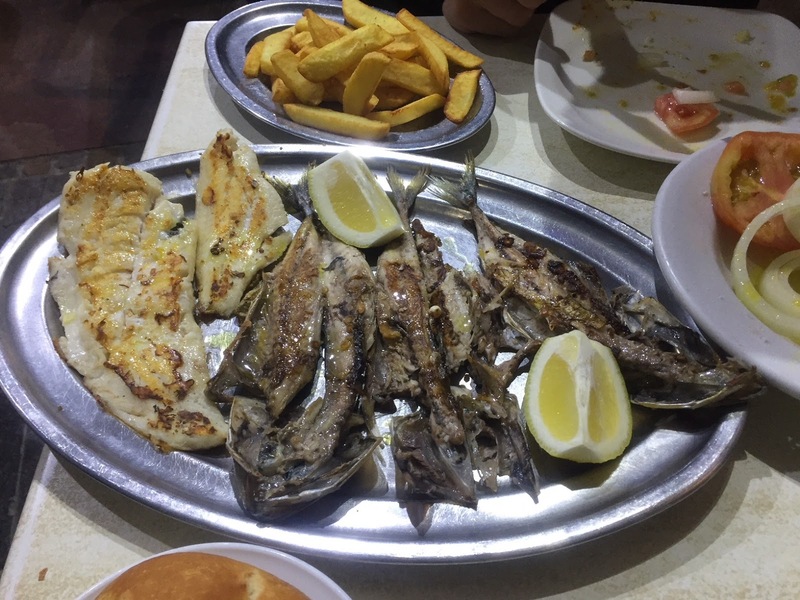 The seafood in Tenerife is absolutely delicious, and we spent our first night eating Mackerel at El Cine (there is nothing cosy or quaint about this restaurant, yet people queue to get a seat because the food is so great!) in a neighbouring town, Los Cristianos. The next day we had a wonderful lunch at Otelo - their garlic chicken is what they are famous for, and the views are just beautiful so I was super excited to go! The restaurant overlooked Barranco del Infierno, where we wanted to go on a hike. 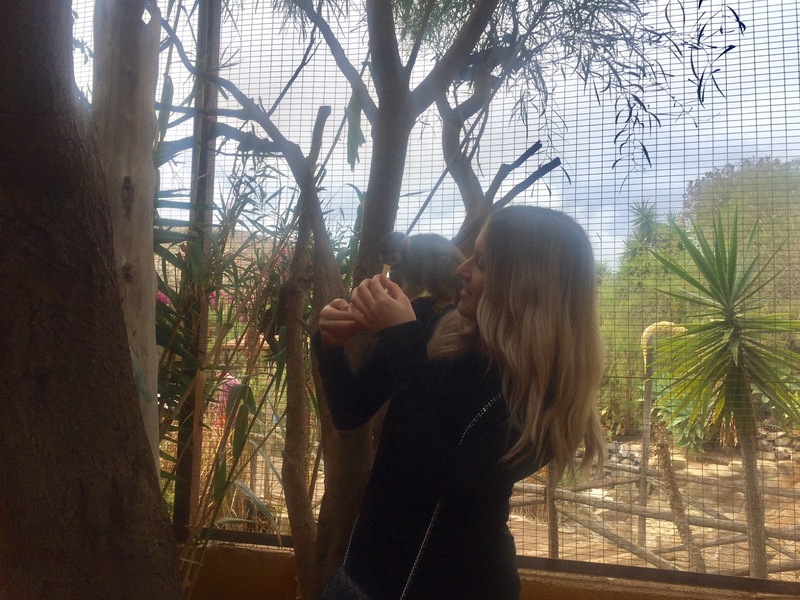 Due to the rain the plans were scrapped, so we headed to Monkey Village instead and spent a couple hours feeding and playing with the monkeys. The next day finally brought us some sunny weather, so we hit up two beaches - La Tejita and Del Duque. 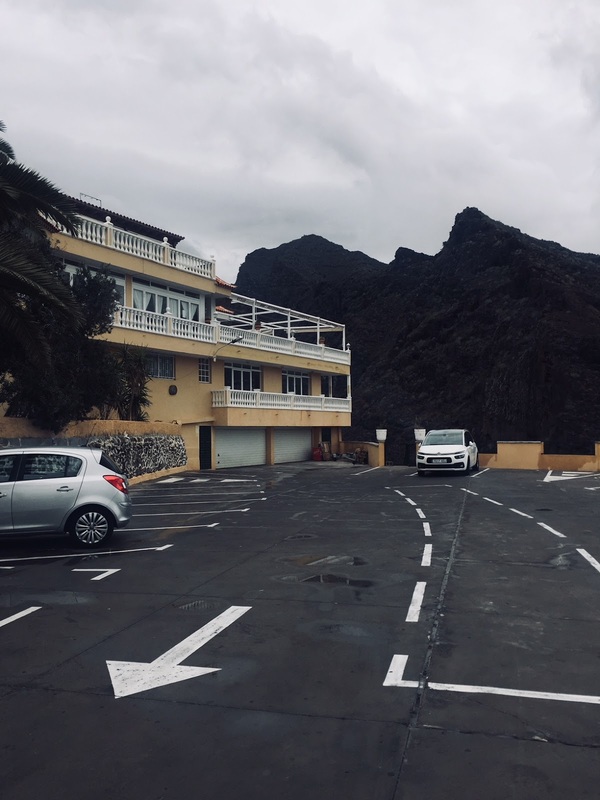 La Tejita was more remote, offered glittery black sand and plenty of space to chill whilst Del Duque was much more touristy, close to all the big hotels. Both options were a fun experience! 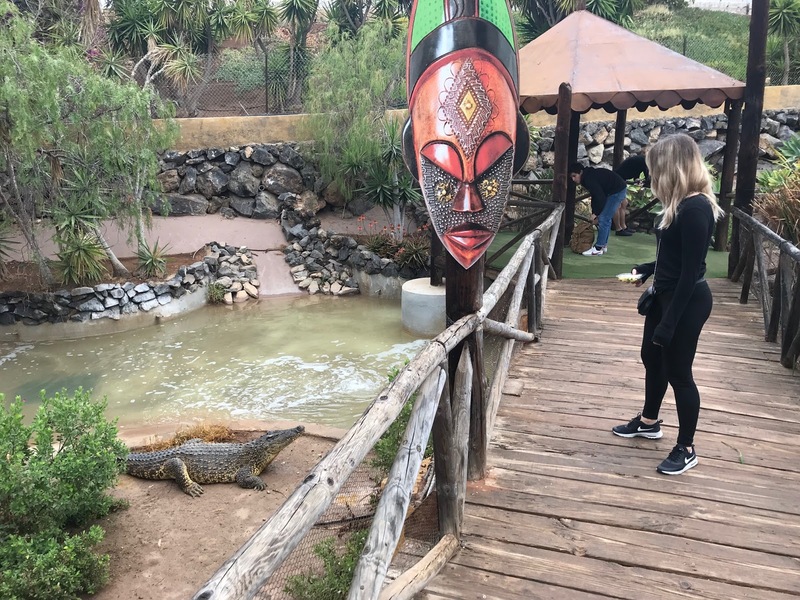 We had a lovely trip and I'd recommend Tenerife to anyone! Next uppppp is Dubai at the end of the month - stay tuned! Let me just throw this out there - I used to hate going to classes, I was strictly an elliptical and treadmill girl with a couple weights here and there. I didn't want to try classes because I didn't want to be on someone else's schedule. I liked going to the gym on my own time and I liked to get in and out as fast as possible, because, let's face it - an hour on the elliptical is so boring. Finally my friends convinced me to come to some classes with them, and I haven't looked back since. 1. BLOKsculpt at Blok London: I looooove this workout because it really makes you sweat, and focuses on your legs/booty. It combines high intensity, high impact cardio with toning of the glutes and core with resistance bands, gliders and ankle weights. Definitely my favourite class in London! 2. Metabolic at Metabolic London: The first time I took this class I could hardly finish it - it is so hard. It's similar to BLOKsculpt but is full body conditioning through HIIT and strength exercises. 3. Signature at Barrecore: Barre will have you shaking and sweating while doing a combination of isometric exercises (small intense movements) alternated with stretching to help you create a longer, leaner look! 4. Boom Cycle: I love Boom Cycle because it isn't as competitive as say, Digme, where you feel like you're in a video game competing against random strangers. Boom Cycle also incorporates weights and isn't purely spinning, which I like. 5. Reshape at 1Rebel: This is 45 minutes of switching between the treadmill and weights, non-stop, helping you develop your endurance and strength. Everytime I leave I feel like I have really pushed myself. 6. Reformer Pilates at Ten Health & Fitness: The machine can be intimidating at first, but once you get it down this workout is different in the sense that it highlights your core strength and flexibility! 7. Circuit at Core Collective: You move through a dynamic circuit (from rowing machines to burpees) during this 1 hour class - and you leave quite sweaty! 8. Barre at Triyoga: I like to switch it up and do barre at Triyoga as well as Barrecore, as it is more of a "yoga" and "ballet" inspired barre class. By no means easy, but something that I would want to do on a typical lazy Sunday. 9. Bootylicious at The Fitness Mosaic: The Fitness Mosaic is a pretty basic gym, but their Bootylicious class is so much fun and focuses on exercises that (you guessed it) tone the bum. 10. HIIT Gym: This one is your typical HIIT workout where you get all the benefits of group personal training. It's really close to my house so I can go in the morning before work! There you have it - my ten favourite classes in London. If I've missed any or need to try a new class, please leave it in the comments. The Scottish Highlands are exactly as I envisioned them to be - moody, magical, romantic and definitely a place of unparalleled beauty. 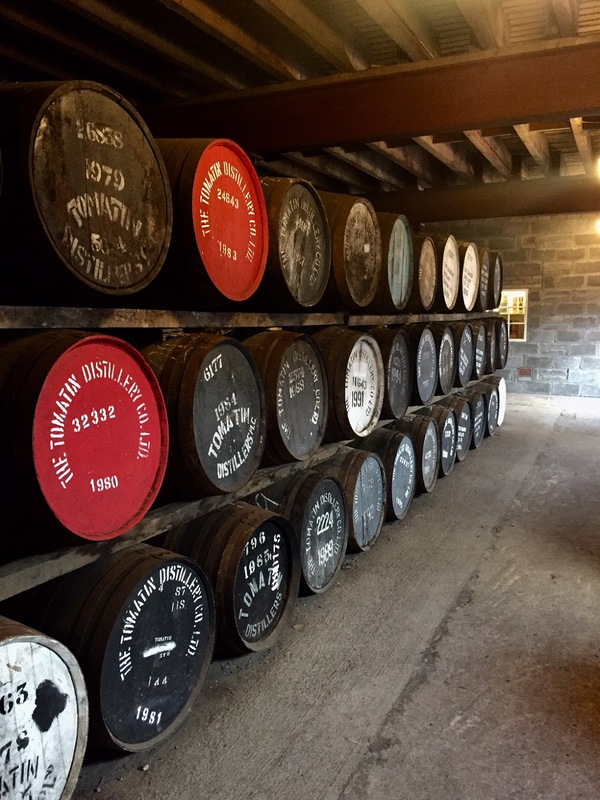 Scotland was the perfect escape from hectic London city life, and a cheap escape too! Our flights were £32.50 roundtrip from London to Inverness, which is honestly about the same price as taking the Gatwick Express from central London to the airport... why do I live in London again? We met up with our friends who live in Berlin and we spent the first night in Inverness, soaking up some live music at Hootananny and having a delicious dinner at Mustard Seed. I also tried Scottish Tablet, which is basically a Scottish version of fudge - so good. We ended the night with some more live music + too much scotch at Johnny Foxes. 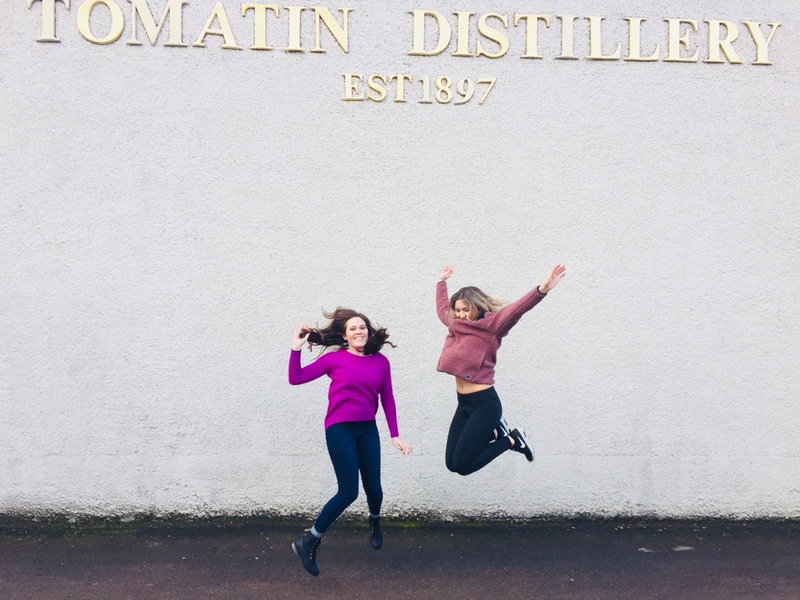 The next day we hopped into our car and drove in the direction of Glencoe, making pit-stops along the way at the Tomatin Distillery (£10 for a tour, and the DD gets to take home a mini bottle of Scotch too so he/she doesn't miss out on the fun!) as well as a photo-op at Urquhart Castle at Loch Ness. 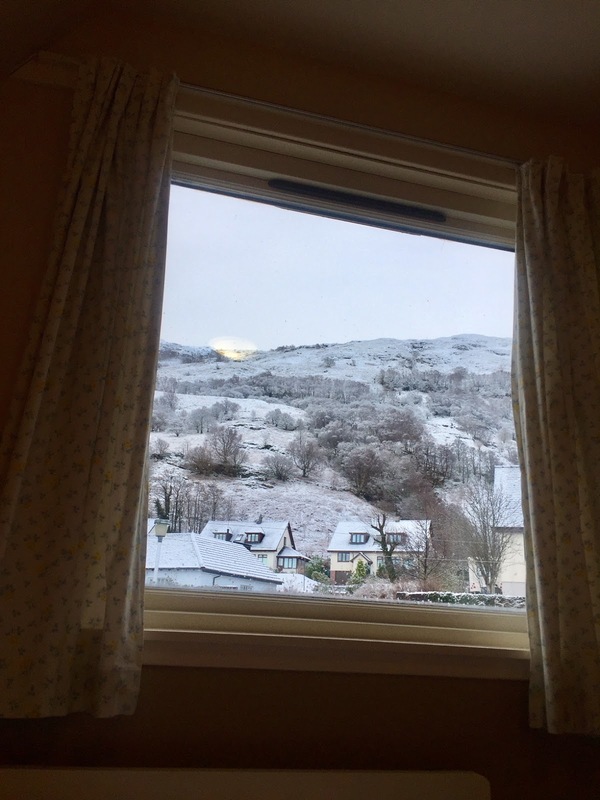 We wanted to stay in Glencoe as we heard it was the perfect peaceful spot to unwind and relax away from the city. 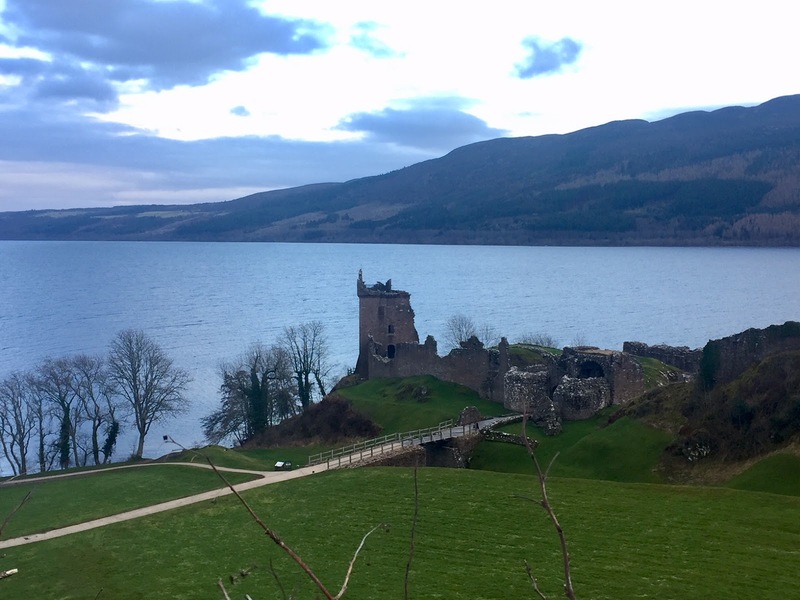 It's been featured in a ton of different movies (James Bond most recently) and the road-trip from Inverness to Glencoe (about 3ish hours) was meant to be one of the "classic Highland journeys" - and boy it was. We twisted and turned through the mountains the whole three hours - the roads are very dimly lit so I would not advise doing the journey at night, which we found out the hard way. Our Airbnb was so cute, very affordable (£36 each per night) and offered breathtaking views from the porch. We were told that we had arrived during the strongest snowfall of the year, so the fireplace in the unit really was a perfect touch. There was also an amazing seafood restaurant in the Holly Tree Hotel hotel next door! 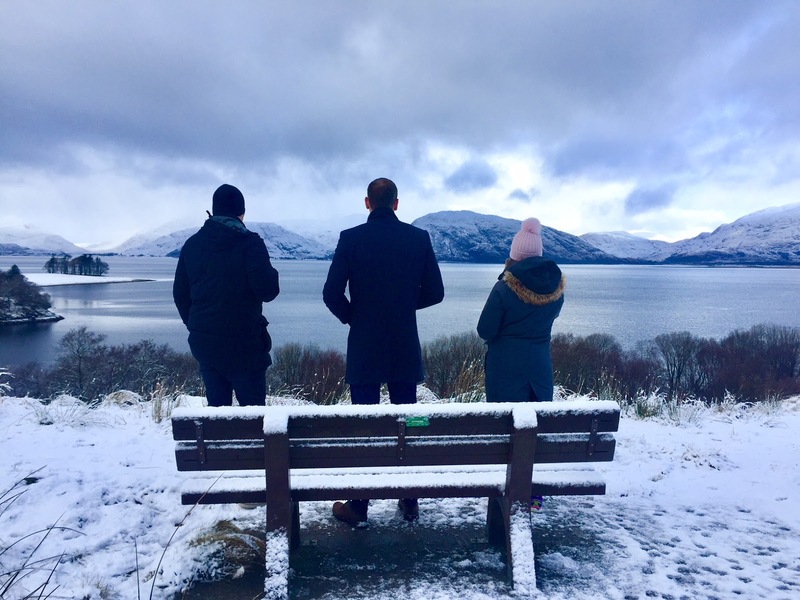 Because of the snow, our tomahawk throwing/clay pigeon shooting day had been cancelled, so we decided to do a hike (with beautiful Ben Nevis in the background!) and head to a couple local restaurants instead. We had a great weekend and came back to London totally well-rested and full of whiskey, tablet and lots of wonderful memories.